Launchpad’s Big Sleep Out is a fundraising challenge where people swap the luxury of a home and a comfortable bed, for a cardboard box and a sleeping bag for the night – all to raise vital funds for Launchpad. And this year, in celebration of our 40th anniversary, we’ve made a few changes to make it bigger and better than ever. 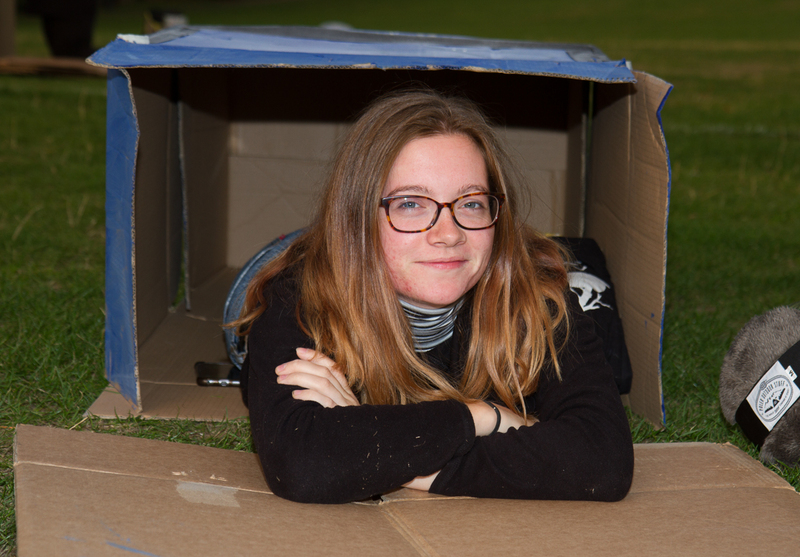 We’ll be holding the Big Sleep Out on World Homeless Day and in a brand new location – where there will be live music, a cardboard shelter building competition and some moving bedtime stories from special guest speakers. The Big Sleep Out doesn’t aim to replicate homelessness but it does offer an insight into the challenges faced by those sleeping rough – while raising funds so we can continue helping to rebuild the lives of vulnerable people in Reading. In 2018, 95 people slept out for the night and raised over £26,000. If you’d like to get involved with friends, families or colleagues, look out for registration – which is coming soon!